This instant pickle with raw mangoes is an incredibly simple pickle you can make within 10 minutes. 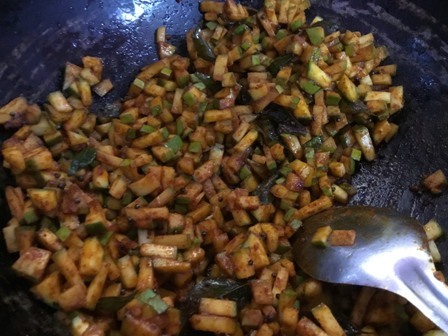 There are many different methods for preparing a mango pickle. 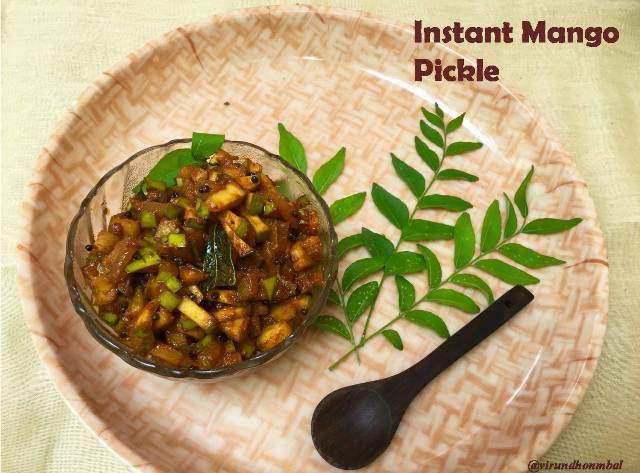 But, this instant pickle is easy to prepare, easy to store and enjoy a tasty pickle for your curd rice with simple process. Anyone can make this instant mango pickle. You can serve this mango pickle right away, but it will taste better, if it gets at least 30 minutes to marinate. In the summer, it's delicious with fresh mangoes.There are many varieties of raw mangoes, you can use any type as you prefer. Fresh mangoes are ideal for pickles, as it is easy to dice them. No need to peel the skin for this pickle. Make sure to season the pickle with a good amount of red chilly powder and gingely oil as we do for other pickles. 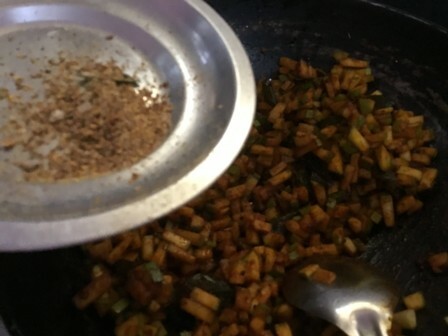 Usually we add salt and red chilly powder to the chopped mangoes and finally hot gingely oil, asafoetida powder and fenugreek powder are mixed well with the pickle. But in this method, the chopped mangoes are sauted in the gingely oil for a minute and then mixed with other flavours. I have tasted both the varieties, but the previous method weren't good after 3 days. This is my Grandma's tip and I have been following this method for many years. 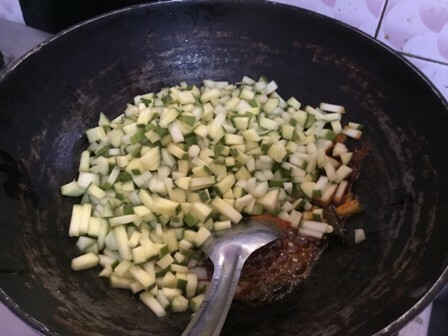 Now we will see how to prepare this Instant mango pickle with step by step instructions. 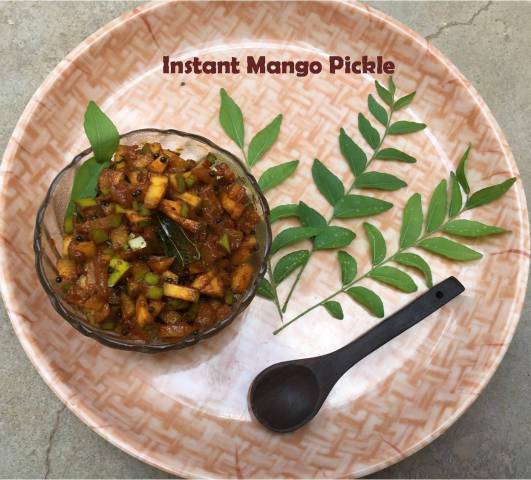 This instant pickle with raw mangoes is an incredibly simple pickle you can make within 10 minutes. 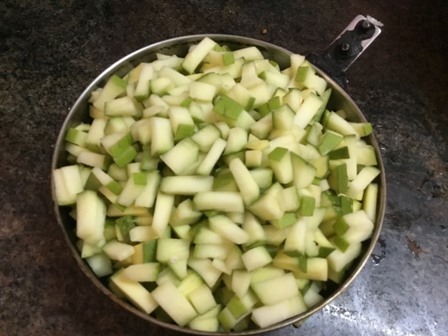 First, using a sharp knife, chop the mangoes into small diced cubes. This will take some time to chop it uniformly. To this diced mangoes add the required salt and mix them well with a dry spoon. 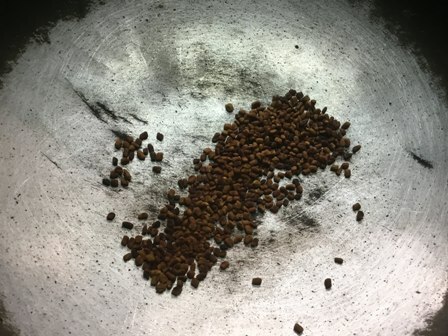 Heat a pan and dry roast the fenugreek and asafoetida. Powder them in a small mixer jar and keep it ready to add it in the final stage. 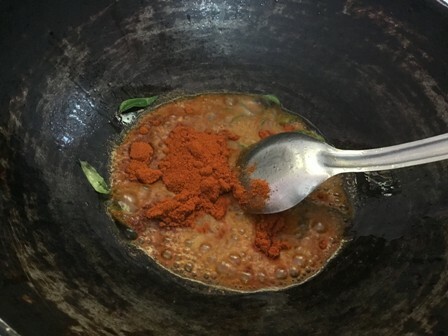 Heat gingely oil in a heavy bottomed kadai and add the mustard and urid dal. When it splutters, add the red chilly powder. Stir them quickly and add the mangoes. Reduce heat to low and stir them for 2 minutes. Finally add the powdered fenugreek asafoetida powder and turn off the heat. 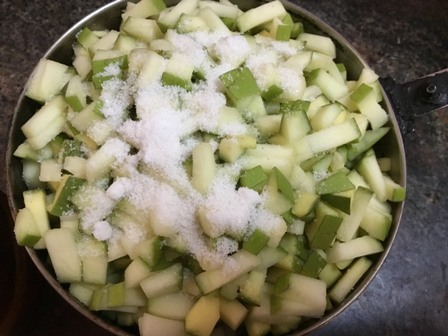 First, using a sharp knife, chop the mangoes into small diced cubes. This will take some time to chop it uniformly. When you have finished your cutting, you will have a pile of diced mangoes as in the picture. 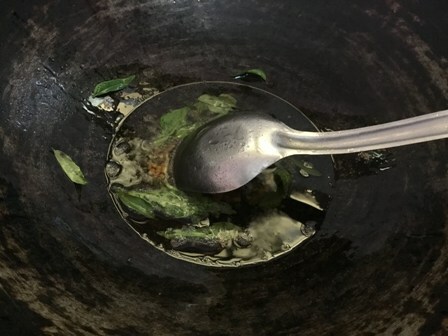 Heat gingely oil in a heavy bottomed kadai and add the mustard and urid dal. When it splutters, add the red chilly powder. Stir them quickly and add the mangoes. Reduce heat to low and stir them for 2 minutes. Finally, add the powdered fenugreek asafoetida powder and turn off the heat. When it completely cools down, transfer the pickle to a glass bowl or bottle.